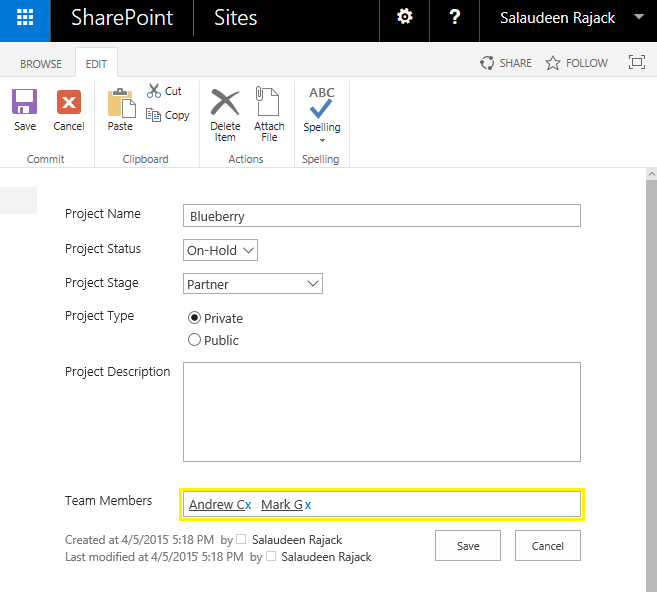 Requirement: Update existing People Picker field value using PowerShell in SharePoint. We have a field called "Team Members" in Projects list and wanted to add new member(s) to it for a particular list item. write-host "New User Added and Existing People Picker field value updated!" The above script updates existing people picker field value with new users, this one sets people picker field without updating existing values in it. write-host "Team Member Field updated!"